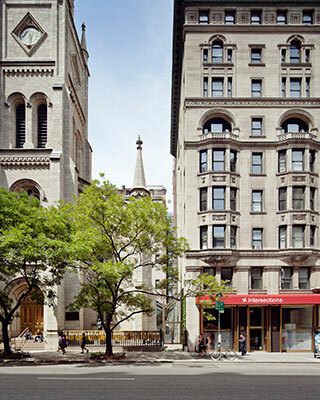 For the final phase in the Masterplan and renovation of Marble Collegiate Church, Helpern Architects planned and designed an accessible entry sequence that would dignify all members of the congregation while complying with ADA regulations. 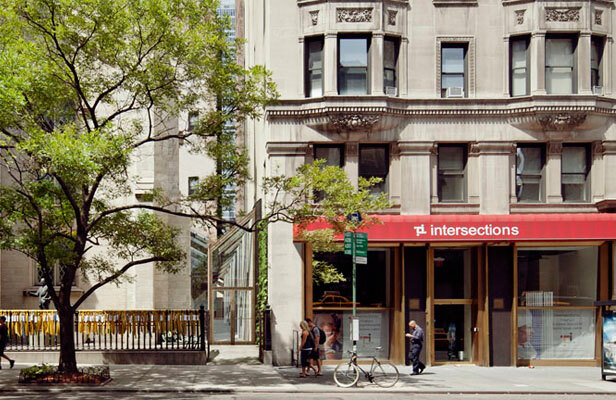 Helpern proposed removing the building’s late 19th century ad-hoc brick and stucco vestry and erecting in its place a dynamic glass promenade along the restored exterior of the historic church. 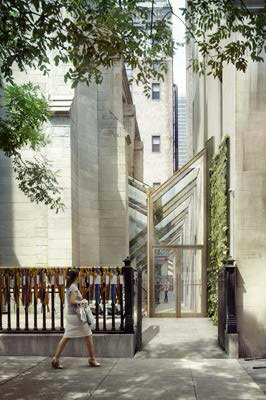 Recessed into the gap between the sanctuary’s north elevation and the neighboring lot line wall, the design proposed a new 5th avenue entrance directing churchgoers from street to sanctuary. The inclined walkway served as an enclosed, impromptu gathering space and connection between all areas of the sacred site. This design received first-round unanimous approval from the Landmarks Commission. Renderings: © 2012 Neoscape, Inc.